I am so glad we choose Greater Philly DJs for our daughter's sweet sixteen. Stephon was incredible to work with from start to finish. He's a busy guy, but he always made us feel like we were his #1 priority, from answering our communications right away, to remembering details we'd told him about our preferences, He allowed us to send him a playlist in advance and played the perfect music to move those of all ages on the dance floor. He's also an awesome emcee -- he was fun and warm and just the perfect person. Everything was flawless. I got so many comments from friends and family that we had chosen the perfect DJ, and I could not agree more! He went above our expectations and our daughter had the time of her life. The photo booth that he also provided was everything. His assistant made sure that everyone got there photos....no matter how many times they came back. We will definitely be using Greater Philly DJs for our next event. Greater Philly DJs was excellent! Stephon was the DJ for our party and he absolutely ROCKED the party. HE was very professional during the planning/booking phase, and did not disappoint on the day of the event. He showed up early, set up, and was ready to go as I had hoped. He was very accommodating and played our special requests throughout the night. Definitely recommend Greater Philly DJ's for any event/celebration. Will use them again myself! Stephon made everything so easy and stress free! The pictures and video turned out amazing and the flowers done by his wife Lynn were more beautiful than I could’ve imagined! They really made the party!! I was very impressed and extremely delighted with this company. Arrived before time, set things up and took down. The kids really enjoyed themselves. People are still talking about the entertainment at my kids party... Awesome! Such a great DJ. He was professional and very entertaining, everyone had an amazing time. I look forward to working with him for any future events. Thanks again DJ Justin!! Greater Philly DJs was perfect for our budget. We are totally satisfied and highly recommend Stephon and his team for any event. The photo booth was awesome! Everyone was happy and we will for sure use them for any other event we have in the future. Stephon is amazing, your guest will be dancing the night away. Great selection of music for all to enjoy! Stephon was easy to work with and professional. He showed up on time and supported us from DJ (dinner) to Photo Booth (party). 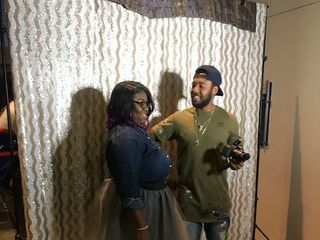 He was accommodating and worked with us on our budget, the Photo Booth was a hit! He did such an amazing job! I would recommend him to anyone! Greater Philly DJ’s and Photobooth is a must have at your upcoming event. Stephon was fun, exciting and assisted everyone at the party with their needs. We had such an amazing time with his Photobooth. He had a nice variety of props. The Photobooth really brought extra life to my uncle’s 86th Birthday Party. 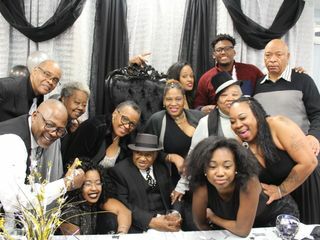 My uncle and family members in the same age group had a blast with the booth as well. Thank you again Stephon!!! What an amazing job. We are all ever soooo grateful. We loved Stephon Baker as our DJ. He was punctual, very professional with great interpersonal skills. Great music!!! His playlist allowed us to dance the night away! 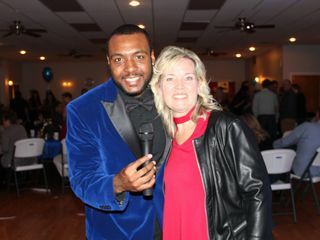 Stephon and the Greater Philly DJ team, thank you for creating such a special 50th Birthday Party for my husband Joel. Everything was perfect. 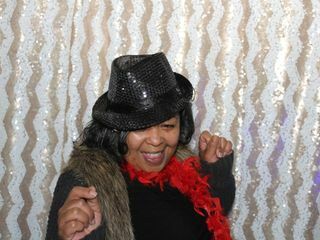 The dance floor was packed all night and everyone had a great time in the photo booth! The photos from Lynn, your photographer, will help us remember this special night. I appreciate all the time and attention you gave me to make sure my event was a success! Thank you, thank you, thank you! Hope to see you at the next Katz event! Also, Greater Philly DJs came to my home with a photo booth the week before this party and helped me celebrate some special birthdays! They are my go to party people! Stephon was a very knowledgeable, well groom, polite and professional photographer. He did an awesome job. 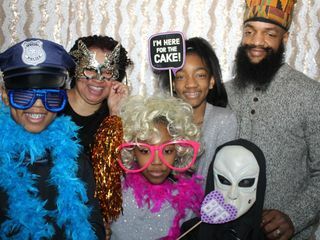 Everyone loved the photo booth and had a great time using the different props. He had a nice variety of props. Many people took his card and are planning to use him for their affair. He will definitely be our first choice if we have another affair. He is awesome!!! Greater Philly DJ's were a pleasure to work with! They are now our DJ of choice for all of our Corporate Events! 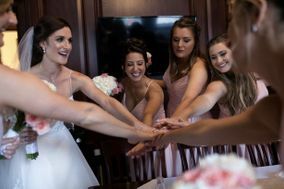 We booked Greater Philly Djs last June for our wedding, and couldn't have picked a better company. Stephon Baker, the DJ we worked with was AWSOME! 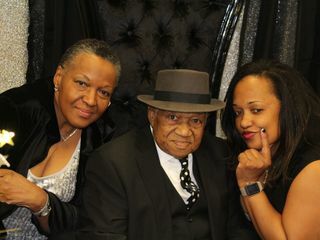 He was truly a professional, had great advice, was easy to work with, and kept EVERYONE on the dance floor. Not to mention his timing was spot on. He was an excellent MC for the introductions and announcements throughout the night. We have now been married for over a month and thanks to Stephon, people are still telling us how amazing the music was and what a great time they had. If you are looking for a fun, classy, great time with the best music, then choose Greaterphillydjs. You will not regret it!! Stephon Baker was very professional and created a fun atmosphere for my guests. He did a great job engaging everyone and ensuring everyone enjoyed themselves at the photo booth. I highly recommend him. I am looking forward to having him at my next event. Amazing experience - you won’t be disappointed! 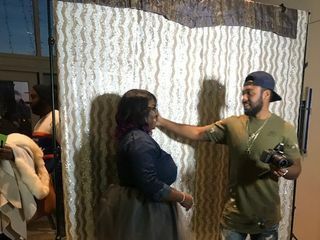 My daughter and I worked so closely with Stephon and he brought forth so many details we had not even considered to make the day perfect and memorable. Very proactive with planning but also able to take requests and make guests happy. We started out planning with a DJ that became a great friend! From the very first contact Stephon was extremely professional and responsive!! He was prompt the night of the party and knew how to read this crowd. The kids loved the music and had a great time in the photo booth. I would absolutely use him again. I already gave out his number to people who want to use him! Stephon was a hit a at our daughters 13th birthday! He had everyone up and dancing. Was on time and set up by the time party started. The photo booth was a great hit with the kids. Would definitely use him again for our next party. Was a great guy! He was very nice! Dynamic and full of energy, will cater to every party need!! Thank you so much for doing a great job performing for my student.